The world's first Cartridge type consumable adopted. Cutting cost has been more lower. Life of consumable parts has been extended. 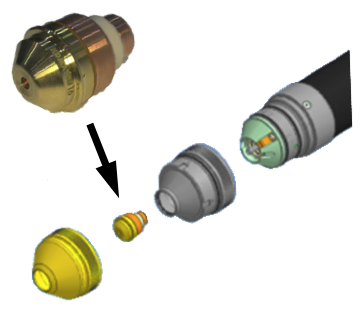 The new-style torch which cartridge-ized consumables is adopted. 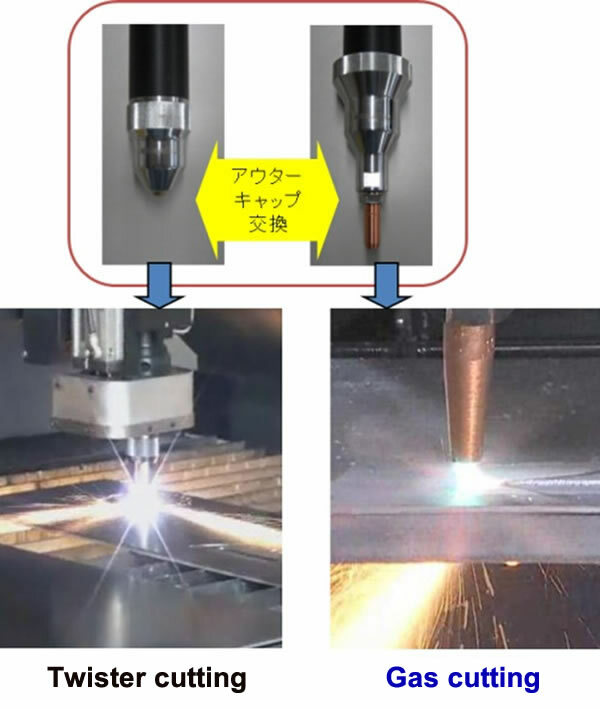 It isn't necessary to put consumables together and it also improved the cutting quality by accuracy improvement of a torch chip. 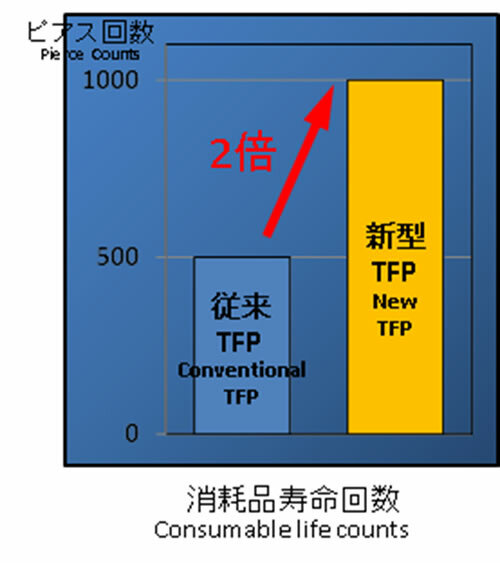 Double the life counts of consumable compared with conventional type Furthermore the price becomes lower by cartridge-ization. 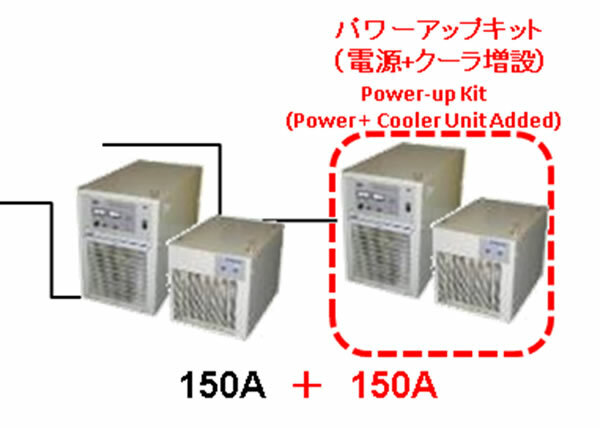 Another 30kw power supply can be added to the oriiginal 30kw power supply as a option. 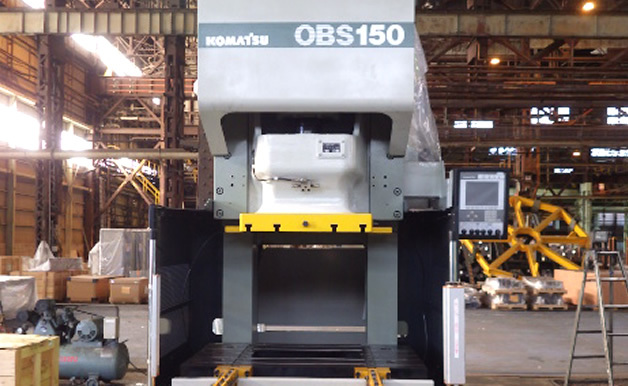 Max 60kw output can be cut maximum 36mm-thick mild steel. 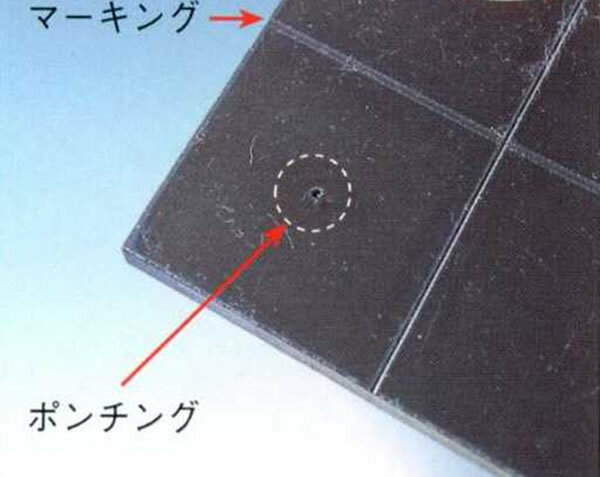 Inclination of the cut section which was disadvantage of the plasma is adjusted. And approximately 0 (within 1.5 degree) of bevel angle in the product side can be achieved. Twister brings excelent cutting quality by 4 kinds of cutting conditions which are for small, medium, big size holes and contour. 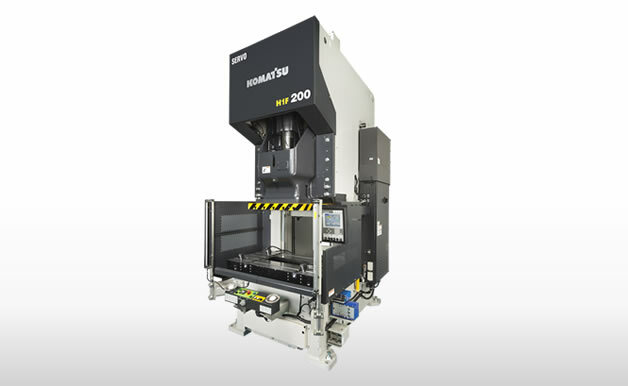 Not only 4 kinds of cutting conditions are automatically set, But also gas flow as well as cutting speed and the gap hight are automatically optimized. The better environment is maintained by push-pull dust collecting system that prevent a hume to spread out. Also dust collecting system works efficiently in the devided section with damper where a cutting head is working. As standard, Marking and punching can be done by using Argon gas instead of plasma gas. 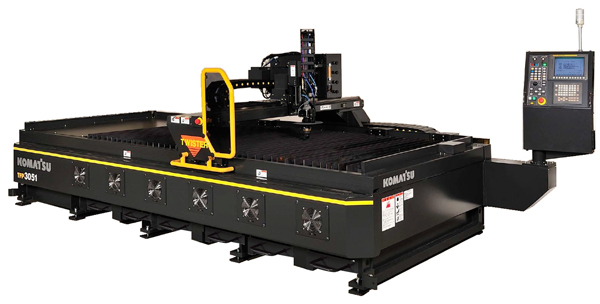 Marking is used for determining welding position and bending line. Punching is used for determining drilling position. These are useful especially in the can manufacturing industry. 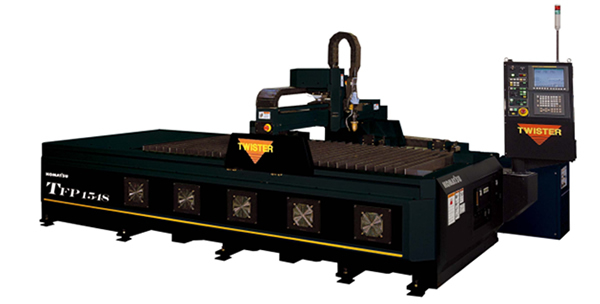 A gas torch can be installed quickly to cut thick material.This option enable Twister to cut from thin material to 50 mm thickness.Twister is a versatile performer. 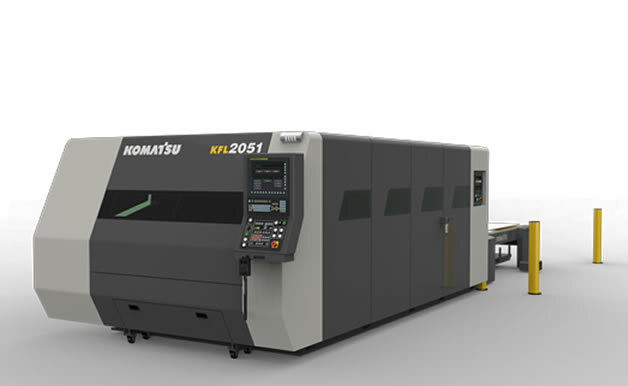 From Toushin Industrial Co., Ltd.
Toshin Kougyo bought Komatsu Plasma TP3051-23. 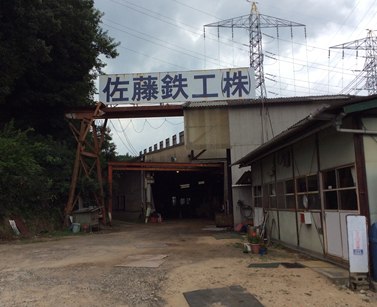 This customer has run Komatsu Plasma KPD1251(1996),TFP3051-21(2001) and the other brand also. The nozzle life lasts 2 days in the cutting of the mild steel in the range between 6 mm and 12 mm thickness. This nozzle life is 2 times compared with conventional. The consumable price became lower and the cutting cost became dramaticaly lower. One oxygen gas cylinder lasts 2 days and one nitrogen cylinder lasts 10 days in consumption.Cutting quality is excelent. They think that they should have bought eariler. 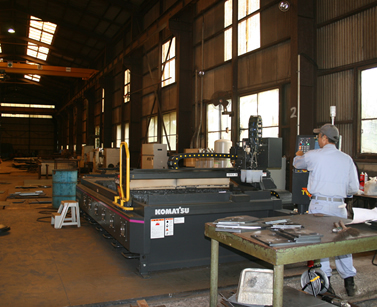 From Sato Iron Works Co., Ltd.
Sato Iron Works bought TFP3051 with new type of torch in January. 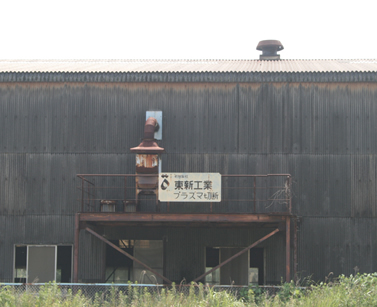 The painted steel and the steel provided from the ship-builder are mainly cut. Those plate thickness is between 6 mm and 12 mm. TFP3051 makes productivity 2 times compared with KPD0951 that was replaced. 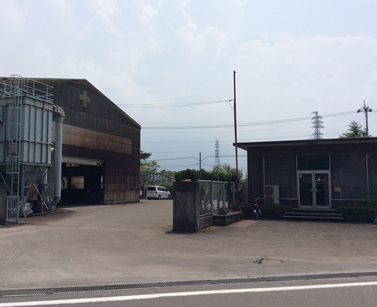 Especially the customer evaluates that the scrap processing function is very usefull Also the customers who visited Sato Iron Works are surprised at the good working environment that no fume comes out of plasma machine.